Kim Hollis: How do expect Minions to stack up against Inside Out in terms of opening weekend as well as final domestic/international box office? Matthew Huntley: I have a feeling Minions will open higher than Inside Out because it has the advantage of the July 4th weekend and because, just like Disney/Pixar, the "Despicable Me" brand is now trusted by so many families. Plus, whenever any trailer for Minions has played over the past year, both kids and adults alike have cracked up, so I think every demographic is excited about it. Now whether or not the movie shows the same legs as Despicable Me 2, or the same strong ones that Inside Out no doubt will, will be based on its quality and whether or not it actually tell a worthwhile story or just be about Minions being Minions, which could grow old very fast. Either way, I think Inside Out and Minions will be nearly neck and neck throughout the summer, both domestically and internationally, but I think the former may win out because it got an earlier start. Great question! 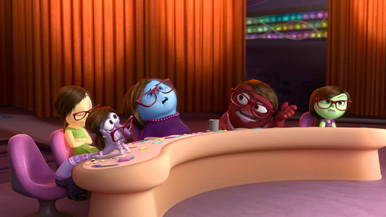 Felix Quinonez: I can't imagine Minions coming close to Inside Out. The characters are cute and entertaining but seem better in small doses. I think it will see a steep drop from the Despicable Me films. I see it making about $150 million domestically.